Diese Buch ist auf antolin.de gelistet und das Quiz auf Antolin wurde bereits 53 mal bearbeitet. Beautiful, but not at all easy. Whether ballet, breakdance or tightrope walking, it requires discipline, hard work, and a lot of practice before it looks really good. This book gathers interesting and fascinating facts from classic ballet to modern dance, about types of dancing all over the world and in sports. Are boys able to dance, too? All experienced Reading Explorers will learn these things and much more with impressive pictures and amazing texts. Wie tanzt man Latein? Kann man wirklich tanzend kämpfen? Und wie geht ein Flashmob? Mit tollen Fotos und inspirierenden Geschichten von Bollywood zum Wiener Opernball, von den Straßen New Yorks bis nach Kuba: das Allerbeste über Tanz. Schreibe die erste Bewertung für „Spitze! 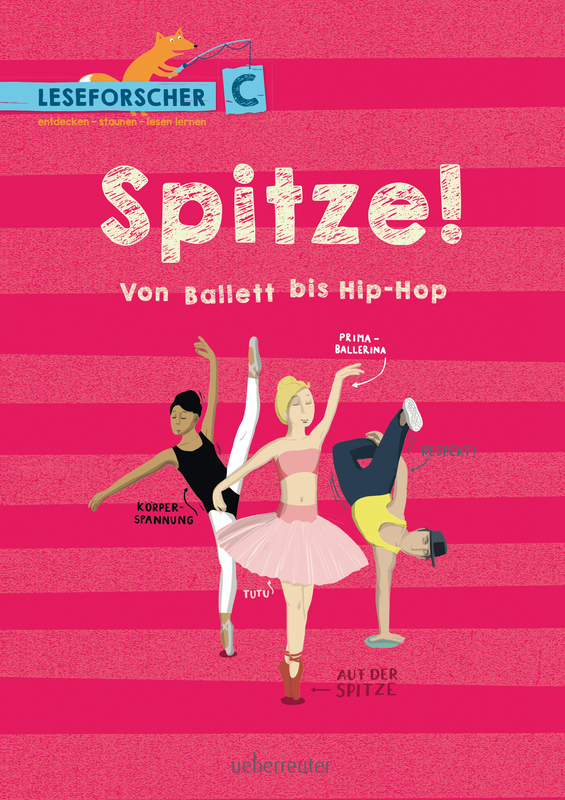 Von Ballett bis Hip-Hop – Leseforscher ABC“ Click here to cancel reply.